The challenge this week over at the Mo Manning DP2 Challenge blog is anything goes with a Mo image so I thought I'd play along. I found this digi- Psst Dani and Taylor printed out in my digi folder so I thought I'd color them up! I had a horrible headache all day and it shows in my coloring of this image, the shading is all funky but we're just going to pretend it's all where it needs to be, okay? I was in a super simple mood so not much to it but I like how it came out, how about you? 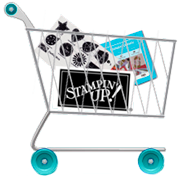 All items in bold type are Stampin' Up products! Now this is a cute one! Love the CAS style and bright colors! I think it's perfect, but then you know that I love "simple." :) Hope your headache went away. Danni, I love the clean, crisp look of this, and the bright colors are so eye-catching! Glad you joined us in Mo's Challenge. This is adorable Danni! Fun image and beautiful bright colors!! 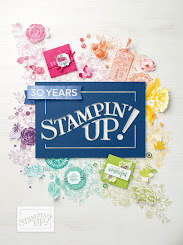 Your coloring still looks terrific on this cute, cute, card. This is simply adorable...wonderful coloring, even with a headache! Great card! I love the CAS design and focus on the sweet image. Your coloring is fabulous! I think your card looks GREAT! Hope your nasty headache is gone! Love the vibrant colour palette and the image being as a main focal point. Coloured in beautifully too! Oh Danni, this is a perfect card and your coloring is terrific (headache and all)! I should only be able to color like this on my best days. Hi Danni-- thanks for visiting my blog :). This is really cute. Neat image. And do hope you are feeling better. Danni this is awesome!! I LOVE your coloring!! The colors are just perfect. And I LOVE that dotted paper too!! Awesome card!!! awww, this is the sweetest card! I love that image and the simplicity is perfect!!!! Happy New Year Danni. I love this gorgeous card that image is ACE the colours look smashing they are so bright and uplifting. This looks awesome Danni! Sorry you have a headache, but it definitely didn't effect your card and I love the clean and simple style of it! Beautiful! i think it's soo cool. coloring and simple layout. gonna have to case it. love the colors and your coloring looks fantastic! You rocked this even with a headache! I'm impressed you even coloured with a headache!! very cute and i love the bright colours and layout! What a perfect teen card, love the patterned papers on this. Simply wonderful! Cute card and beautiful coloring! love it! fab colors and great design. super card, Danni! what a cute card and your coloring is amazing.. Simple is sometimes better! With a large image like this, it works best. Your coloring is fine too! I haven't touched my markers in um....a month? I can only imagine what my coloring will be like when I use them. what a bright colorful card! love the image. super cute! Too cute! What a fun teen card, great coloring.